Canadians who want to file their taxes – or file their nails – need to remember just one word: TIPS. The Canada Revenue Agency (CRA) has used that word, known as an ‘official mark’, since 1990 as the short English name for its Tax Information Phone Service, a toll-free number for tax filers who need assistance. Lebouthillier gave permission to Ask Cosmetics Inc. on July 17 last year, after the Burlington, Ont.-based firm requested her written consent. “In 1999, consent was granted to the same company for the same product, for a trade-mark that is exactly identical to the official mark T.I.P.S.,” says a memo to the minister last summer, obtained by CBC News under the Access to Information Act. “There is no payment to the Government of Canada in relation to this consent,” said Etienne Biram, a spokesperson for the agency. Ask Cosmetics Inc. uses the acronym TIPS for “The Incredible Protection System,” its line of products for nails and skin care. The Canada Revenue Agency currently owns more than 50 official marks. Some — such as Netfile — have become familiar to Canadians. Under Canadian trademark law, public bodies such as the CRA can file their official marks — names, designs, crests, emblems, logos, etc. — with the Canadian Intellectual Property Office. Doing so prevents any business from using a trademark that is identical or similar unless the public body gives consent. Over the last decade, various companies have asked the minister at least 10 times for permission to use official marks, including the name of the French-language toll-free tax line SERT, for Systeme Electronique de Renseignements par Telephone. Biram said permission was denied on three occasions, which he did not identify. One of the best-known official marks registered by the Canada Revenue Agency is TED, which is an acronym for the French phrase for electronic tax filing — “transmission electronique des declarations.” The mark was developed by CRA in 1999, with its own logo. Two famous companies, Coca-Cola and the TED Talks people, both got the OK in Canada from the minister to use that name commercially. 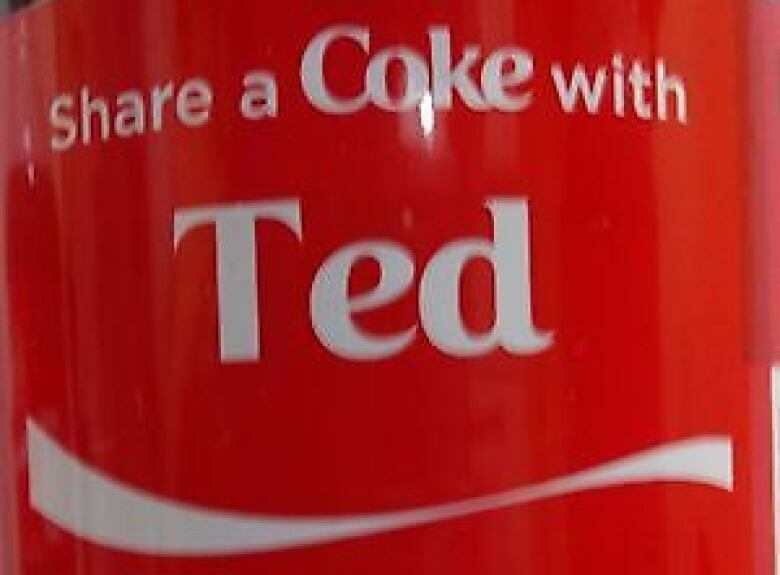 Coca-Cola at the time was running a promotion called ‘Share a Coke’ which allowed consumers to replace the company logo with their own names — including ‘Ted’. The TED Talks lecture series, which launched in the 1980s, uses the acronym for Technology, Entertainment, Design. Two other firms — a Calgary-based petrochemical company in 2013, and a gaming-equipment company based in Reno, Nev., in 2005 — also received ministerial permission to use the popular TED name.